Here’s some encouragement for all you working moms out there! 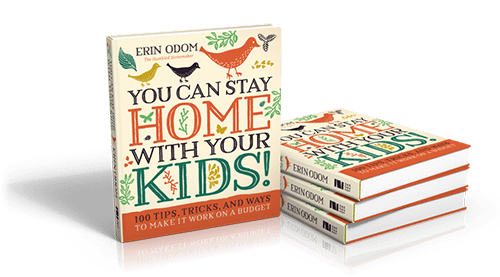 If you want to stay home with your kids, here’s encouragement and advice–plus a look at some of the blessings that come with your time in the workplace! There was never a doubt in my mind that I would be a stay-at-home mom. Oh, I prepared for a career, but once my babies arrived, I knew I wanted to be with them 24/7. But our hopes and our dreams are not always reality. And when my first baby arrived in June 2008, staying at home was not a choice. My husband was in seminary at the time, and I was supporting our family. It wasn’t that we could barely afford for me to stay at home. We couldn’t survive at all without my working. I’ll never forget leaving my 6-week-old newborn in her swing the first morning I left for work. My friend Lexie had come over to watch her. And saying goodbye to my sweet little babe tore at my heart. I ended up working until my baby was 6 months old. I then attended classes during a missionary training from the time she was 7-9 months old. Even though we knew it would be short-term when I went back to work, it still wasn’t easy. I will never get those first few months of my little girl’s life back. But I purposely chose to focus on the positives during that time. And I don’t look back with regret, but I think about all God taught me. And I remember how He provided for our family. Perhaps my situation will help you. Are you a working mom that would much rather stay at home? Do you know any friends or family that work outside the home that you can share this post with as an encouragement to them? 1. When I was a working mom, God enriched my life with co-worker friendships. Although I’d sometimes choke down tears while driving to the school where I taught ESL, once I arrived I would be greeted by some of the most amazing, godly co-workers. In fact, one morning per week a small group of us would gather before school and pray for each other, our families and our students. It was really a sweet, sweet time, as the next year we would all scatter. Some went to other states and two to other parts of the world as missionaries. No, I’ll never get the time with my daughter back. But I’d also never trade that time I had with Rebecca E., Audie, Leigha, Susan, Mrs. Presly, Rebecca C., Alison and Amber. These ladies were and are (although our communication now is minimal) dear, dear friends. I learned so much from them as we’d encourage each other in God’s Word. I have not found friendships like these since. The life of a stay-at-home mom can sometimes be lonely. I’m thankful God provided these friendships before I entered the sahm season of my life. 2. When I was a working mom, God provided an amazing babysitter–who became a dear friend. My husband and I sought out an older woman from our church to keep our daughter. We say it was indeed God orchestrated because the woman–Mrs. Pat–had a granddaughter born the same day as our daughter, yet she lived hours away in another state. Watching our daughter helped Mrs. Pat see in person the different stages her granddaughter was experiencing at the same time. Mrs. Pat and I would often sit chatting for close to an hour when I picked up Little Girl. She quickly became a dear, dear friend. I learned a lot from her unofficial mentorship during that season. 3. When I was a working mom, God allowed my husband to have some daddy-daughter bonding time. Not many fathers ever get to be stay-at-home dads, but my husband did! He actually kept our daughter in the morning before his classes or part-time job at our church. Sure, I would have rather been with her myself. But I was excited for my husband to have that special time with her. 4. When I was a working mom and exclusively breastfeeding, God sharpened my will and determination. One of my fears about going back to work would be that my breastfeeding would end. Not so! In fact, going back to work made me all the more determined to pump enough milk for our time apart. And, I took advantage of breastfeeding as much as possible during our time together. 5. When I was a working mom, I learned that God provides. Is it how I would have wanted the provision to come at the time? No, probably not. But because we were able to basically survive on my salary alone (which cut our income in half at the time), my husband and I realized later we could indeed make it on his teacher salary and that I could stay at home. 1. Seek out childcare you and your spouse are comfortable with. We sought out an individual from our church. We knew we wanted someone who was a Christian and who was only caring for our daughter or 1-2 other children at a time. Others are able to find a great in-home or even stand alone daycare facility. Some daycare centers are even located within the same building as companies. My husband once taught at a school that included a daycare center on site for teachers’ children. When our daughter was 7 months old, my husband and I entered a missionary training center for 2 months. During that time, our daughter stayed at an on-site center while we attended classes. The added advantage to this was that I could slip out of class anytime I wanted to nurse or simply check on our baby. Childcare choices will look different for every family, but it’s key to find one where you feel your child will be comfortable and loved. 2. If you are nursing, make sure you organize your schedule so that your baby has the maximum amount of breastfeeding while at home. I would breastfeed my baby right before I left for work. Then I breastfed her again as soon as I arrived at the sitter’s house to pick her up. Occasionally, my husband even brought her to me at work to nurse during my lunch break, on his way to take her to the sitter’s house. 3. Crunch some numbers and make a goal for coming home. If you dread going to work each day and feel God is calling you to be a stay-at-home mom, pray about it and then sit down with your husband and express that desire. Develop a plan on how you can stay at home and then work toward that goal. You may think you can barely afford it, but often when there is a will, there is a way. 4. If you have a plan in place to come home, remind yourself that this season of being a working mom won’t last forever. I reminded myself of that fact daily–and before I even knew it, I was a stay-at-home mom. Are you a working mom who wants to stay at home? How have you coped with being a working mom who would rather be at home? 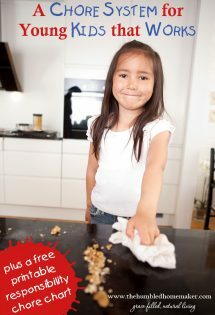 What are some steps you can take–or encourage your friends to take–to become a stay at home mom? Your Grocery Budget Toolbox: In this book, Anne Simpson arms you with resources to stretch your grocery budget and feed a family of 4 on less than $300 per month! This book can help you lower your food budget–which can, in turn, help you afford to be a stay-at-home mom. *Note: This post is not to put down working mothers. Some of my best friends are working moms. Rather, this post is to encourage working moms would desire to stay at home. Don’t miss a post in this series! I cannot thank you enough for this post. 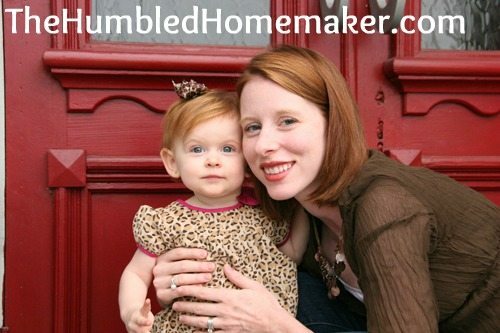 I am a working mama whose heart, and God’s call on my life, is to be a SAHM. I relate completely to choking back tears, though many morning, even at age 2, I do cry on the way to work. I get tired of hearing all the reasons godly women shouldn’t work. Perhaps we should not, maybe it isn’t God’s will for us but overnight we all cannot quit just like that. If we could, most of us would. Our family is working toward the goal of me staying home and God is blessing us every step of the way. My mother in-law watches Little Man while I work so he is able to be here at home which is a blessing for us and similar to you, he and Daddy get quality time because of Dad’s work schedule. God has sharpened our financial wisdom through this and we are now following his will and leading as we spend and manage His money. Danielle, I think I might have written this post just for you! Feel confident today that the Lord has a plan in this! http://bucketsorpipelines will lead you to information that involves everyday items like toothpaste, laundry soap, etc., that also has a business aspect (not the one you are thinking about). This can offer a way out, but due to policies, I can’t say much here. I love reading your posts, Erin, but I am especially thankful for this one! I will be back in school next August to complete my student teaching and will have to leave Layla and Cain full time for one semester. DREAD doesn’t even come close to how I’ve been feeling about this. Chaz and I have talked it over and I’ve prayed over it for months now and I think it’s the right thing to do for our family (and myself), but it is going to be such a sacrifice to leave my babies full-time even in this temporary situation. It will be hard, but afterwards I know it will be great to have my degree finished so I can just focus on BEING PRESENT with my babies until they go to Kindergarten. This post gives me hope that I will be able to find the positive and recognize how God will use that time to grow our relationships (with each other, as well as others) and me, personally. I am honored you read my blog, Brittany! You are such a great mom, and God will take care of your babies when you’re in school! Just keep thinking about how it’s only for a season! 🙂 Girl, this is your ministry. Rock it. Thank you for such a kind post. So many bloggers who write about staying home seem to do so from a perspective of passing judgment on moms who work. (You’re not budgeting hard enough…you’re not willing to make the right sacrifices….you haven’t prayed hard enough…you’re being selfish…and so on). Sometimes moms have no choice. And sometimes, quite frankly, not every mom feels called to stay home. So thank you for writing without passing judgment. Thanks for commenting, Jill. It really blesses my heart to know that because one of my goals with this blog is to show grace to all moms and all woman in all seasons of life. We can never know another situation–and God’s calling for one looks completely than His calling for another! Thank you so much for this post! I just found your blog this weekend and have already felt so blessed that I found it. We have our first little one on the way that’s due in April, and we aren’t sure yet how we will handle me working or not. My dream is to be a stay-at-home mom, but I’m praying that God will keep my mind open to whatever He wants for us when the baby comes. So many of your posts have been so helpful to me already! Thank you! I love this post!!! My son is almost a year and I had no choice but to work after he was born – we needed two incomes. I was EXTREMELY fortunate to have my mom as our babysitter. While I missed him, I didn’t worry about him because I knew he was being loved like no other! God can come up with solutions that you would never have thought as options. For us, it was my husband getting a new job and being transferred to a new city with a lower cost of living. God made a way for us to rent out our townhouse and get a cheaper apartment in our new city. While it’s hard being away from our family, we can see God’s working through everything! I have been able to be home with our son for two months now and God made a way for me to work 12 hours a week from home for my old company. Remember, God is the crazy one!!!!!!!!!!!!!!!!! What a great story, Summer! What a blessing for his grandmother to keep him–but even better how the Lord worked it out for you to now stay at home! Praise God! This is my same situation, only my husband is not working (currently looking). We do not have the blessing of family living nearby, so thankfully, while he’s looking, he gets to be SAHD. But it is not his calling, it is mine. I have been praying for God to move us closer to family because the cost of living is less and we could afford to live larger on one salary…we are barely scraping by on mine. But He has chosen not to provide that for us. My oldest is 3 now and I’ve been praying this for 3 years. They will be in school soon, so I will not have gotten any time with them if it does happen. I have to keep telling myself that His ways are not my ways and that He knows what’s best, but its so discouraging when I want to stay home and can’t. And its hard not to be angry at moms who can stay home and choose not to. I’m so jealous that they even have the option. Its so hard to trust God when he is not giving you the desires of your heart, but I do trust HIM and pray that my desire becomes his desire. Who knows…maybe my husband’s time on earth is coming to an end and God knew that so he allowed me to remain employed so I don’t fall into financial ruin and that I will be glad he had those first 3 years to be able to spend with our girls. Maybe I shouldn’t have thrown that out into the universe, but just trying to reframe what I see as a negative into a positive. Anyway…trusting God has always been in my best interest, so not stopping now. My blessing is that I love my job, so being away from my babies is less torturous because of that fact. I love this story. I am going to start working full-time next week because I have gotten into pretty bad debt and owe the IRS this year. My desire is to only work part-time outside the home (as I have these first 3 years of my youngest’s life). My husband and I are praying about moving to a state with a lower cost of living. Yes, it will be away from my mom and sister. If we do, I believe tha work for me will be an option rather than a necessity. Who will be the anchor at home making sure our daughter has a good life, keeping a clean house, running errands, cooking dinner? You will find a way, God… May this full-time work outside the home only be for a season. Hey, at least I will have dental insurance for the first time in eight years. Yay for dental insurance! We went years without it too. I pray this is a blessed season for you and you will have peace about going back to work! Thanks for sharing! I completely relate to this blog post. For the three years- and four kids- I knew I wanted to be at home with my little ones. Now I have to move past the lonlies (I know it’s only for a short period of time). Reading this reminded me of when I use to cry on my way to work and while I was pumping at work. I am so blessed that God put this on our (mine and DH) hearts. What a great story! You know–I think sometimes I really take my sahm status for granted. Writing this was really therapeutic for me as I reflected on that time–and it made me realize what a treasure it is to be home with my babies each and every day! I needed this so much. Thank you for posting it. I cried while reading it and all the comments. They have given me such hope to be a sahm again. I was a sahm for 3 years and then something came up and I needed to go back to work. I am very thankful for the job God blessed me with. I work at a Christian daycare center where they teach Bible twice a day, I have known several of the employees for a few years, my children go for free, my daughter gets to go to Kindergarten, where they teach Abeka, with me only paying book costs, I’m home by 5:00 and my favorite, if my 2 year old is feeling sad, he can come give me hugs anytime he wants!! But that still doesn’t take the desire to stay at home away. I love what someone posted above about praying if its Gods will for Him to make a way in His timing! That will definitely be my prayer!! Oh, Melissa…I am so touched to know this post and the comments have given you hope! I feel like the Lord wanted me to write this for a few specific people–and you must have been one of them! What a gift to be teaching at the same school as your child…and I love the Abeka curriculum (it’s what I personally was schooled on!). I pray the Lord gives you peace–and that you can come home soon! When my husband and I got married, he was a student and we lived off my income. Then I got pregnant… so for a few months, we were without an income because I was on mat leave and he didn’t yet have a job. Then he had a job for a year, but it didn’t work out, so we were left unemployed again. We ended up both going back to work, trying to juggle childcare (with the help of his mom). The advantage was that because I worked for those 6 months before our second daughter was born, I was able to get maternity benefits again, which helped during the year after her birth – when we both went back to school. Now, I doubt that I’ll ever go back to work again (our third child is due in March and my husband should graduate in a year and a half), but like you, we’ve learned from being flexible about where our income comes from. 🙂 Thanks for sharing your journey and tips! It was nice having the maternity coverage through my job the first time around, too! Since she was born in the summer and I was a teacher, I didn’t really take a maternity leave, but even though I wouldn’t have been at work any way during that time, my family medical insurance still kicked in, and it was like I actually got a “bonus” for having a baby! It’s nice to know we aren’t alone! Erin thanks for this post. I have enjoyed reading it and all the comments. This is something I struggle with. I think the key is both parents being on the same page and wanting the same thing then both will be willing to make the sacrifices if the goal is to have mom stay at home (if possible). My husband doesn’t understand my anxiety about working full time and having another baby b’c he is a man and in his defense cannot know what its like to be a mother. I was blessed to be able to take 12 weeks maternity leave and then part time for the first year with Noah. Being back at work is also a blessing because I do feel this is where God wants me at least for now and the income will help pay off some debts, including giving me access to group health insurance. So I try to look at the positives to every situation. Dear Erin, I love this post. Thank you so much it gave me support. I feel it was also written for me. I have two kids, a 2 month old and a 30 months old. Currently, I’m on maternity leave returning on January. I want to be a sahm. I’ve been discussing it with my husband since my first kid was born. He doesn’t understand and is concerned about the college education costs, retirement and he doesn’t wants to work until he is old. I’ve been praying to God for guidance and help on this. We did numbers, and we could do it, but he doesn’t wants. Do you have any advice on planning for the futue (i.e. retirement and college education funding)? My husband and I met on a blind date–I told him how many kids I wanted and that I would stay home with them. I’m able to do that AND homeschool–but it was hard work to prepare and lots of time spent praying about it. Be Blessed. I will pray that God guides your choices and that you will find peace in those tough decisions. So encouraged by what I read. My heart’s desire is to stay home when hubby and I have kids. (Still working on that part.) But our recent evaluations of our budget have proven it will be impossible. We’ve cut back on everything we can possibly think of, and I’d still need to make $2,000/month to make ends meet. To make matters worse, hubby and I both work nights, with no immediate possibility of switching to day shift. Now this does have one benefit: I will be home with our children during the day. But the major drawback is child care. I don’t know how difficult it will be to find a nighttime sitter, especially considering our shift ends at the ungodly hour of 1 AM! It’s not like I can just drop the tot off at daycare! Looks like I’m going to have to start praying for a solution before we even have kids. Thank you so much for this post! I have 5 kids 9 and under. I was a SAHM for 3 years and went back to work in July because we are being choked by debt :(. 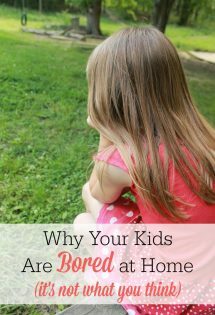 I also homeschool and have missed my kids so much. Your post was an answer to prayer for me and the encouragement I needed to keep working toward the goals my husband and I set. I was especially encouraged by the suggestion to make a plan to quit and work toward it so you know there is an end in sight. Thank you! Thank you for your encouraging post. I worked only 2 days/week with my first child, which was such a blessing because it was the best of both worlds. After my second son was born, I was able to stay home for a year. That’s when I truly realized my desire to be a stay at home mom. Unfortunately, I recently had to return to work full time in August for financial reasons. It has been SO incredibly difficult. I definitely feel God is calling me to stay home full time, and I miss my kids so much. Its so hard knowing that someone else is doing my most important job- taking care of my children. Eventually, I would like to stay home again when its possible for us, but I feel this incredible sense of urgency that NOW is the time I need to be home with them, while they’re both still so small. It’s so hard, and as a working mother, I don’t know if it’s something you ever get used to. But I know the Lord has a purpose in all this, and if it’s His plan for me to be home in the future, He will provide a way. I have to focus on the positives as I drive to work every day, and realize how blessed I am that I was able to find a job while we were in need. The most powerful tool you can ever use is prayer–God has a plan for each and every one of us working- or stay at home- moms. Thank you again for the encouraging words, and offering a different perspective. You are not alone! I am so encouraged by the optimism and faith I have seen from all the women on this post! I will say a prayer for all the mothers out there in the same boat that I am. We all know we are doing what is best for our families, and we will only cherish those moments with out little ones all the more when we have that precious time with them. Stay strong Mama! Thank you for the timely, encouraging post. What a blessing! I’m a new mama to a sweet 5 month old girl. I work full time. I returned to work when she was 12 weeks old. I have been rather discouraged with the lack of support and kind words for working mamas within the Christian community and feeling very alone. I long to work part time, but I am the main breadwinner for our family so I’m not sure how possible that is right now. We are very blessed that God answered our prayers for loving Christian caregivers for our sweet girl, and I am blessed with a good job and an understanding boss (who is a working mom to two little ones herself!). There are blessings to be found in this time, no matter how hard it is. Thank you for the encouragement. It’s good to know I’m not alone. I was so happy to find this list of women who have the same struggle! It is so hard to explain the feeling you have when you want to stay home so badly, but know that is not the plan right now. That is so wonderful that you have Godly caregivers to help put your mind at ease a bit. I look at it as God allowing me to learn never to take my baby for granted and cherish each and every moment I have, even the tough ones, and when I finally get to stay home, I will remember the road that brought me there. I came across your site on Pinterest, and was blown away by your encouraging words! Thank you so much for allowing us, as readers, to peer into your life and learn from your wisdom and advice. I am currently a working, single mom; however, I still aspire to be a stay at home mom in the very near future! I stayed at home with my daughter until she was one (while staying with her father). Now, newly single it has been a struggle emotionally leaving her at daycare, and financially struggling to keep my finances afloat. Your post and site has given me the goal to make staying at home a reality for me by creating a home business and using my time (right now) to reduce debt and secure affordable, lasting housing. Thank you for sharing this. 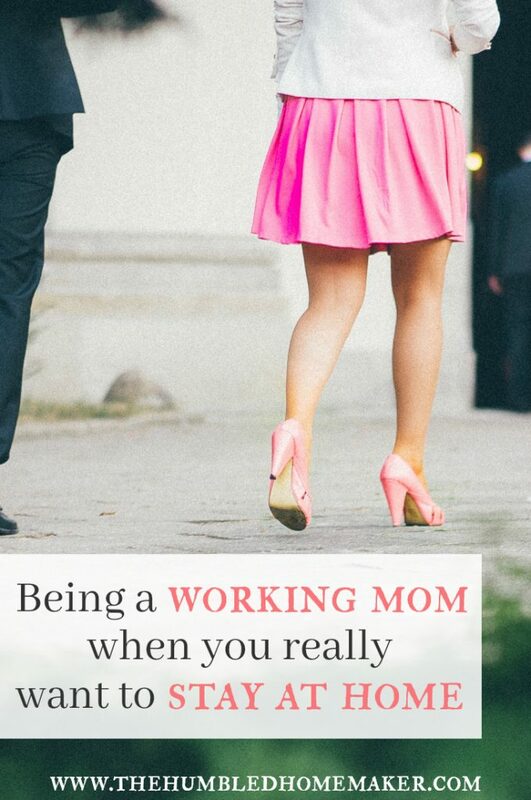 I am a working mom and it’s always bothered me. I finally expected it being that my children are now in junior high. Then God surprises me with a baby, due any day, and here I am grieving because I can’t stay home with him. Thank you for this. I’m recently married and while God has blessed me with a good job and my husband has his dream job of teaching at our churches high school, I’m the breadwinner. Due to our fields, my dream of being a sahm will never be possible. Nothing vexes my soul more. I am so glad you were blessed by this, Tawna! My husband is a high school teacher as well. I pray that you might be able to sah one day. God is full of surprises! Thank you so, so much for this post!!! I found your site yesterday on Pinterest, and I just love it. We have a 16-month old little boy and I am due with our second child at the beginning of May. I work full-time, with an hour commute each way. We are so blessed that my mother-in-law comes to our house to take care of our son. And I really love my job. But, ever since we brought our son home, I have felt this tug at my heart that I am supposed to be at home with him. Right now, we can’t afford to lose my income, since I am the breadwinner in our household, and we are still working through a lot of debt I incurred while in grad school. But this post, along with all the comments has really given me hope – I was in tears as I was reading throught it. Thank you so much for sharing your story. I am truly inspired by you and your family! I love that God brought me to your website today. I am the bread winner of my family but feel I am being led to stay home. I went to my manager at work to see if I could work a flexible schedule and was told “no.” I am really disappointed. I love my job but feel I am losing time with my kids. I have 1 kid in 1st grade and an almost 4 year old. I feel I am losing time to be with my youngest before she goes to school. Thanks for reminding me that God can do anything and we need to remember that it is his timing and not ours. I am encouraged to keep praying! I have always known that God meant for me to be a SAHM. Unfortunately, that has not been able to be the case for the last year. My son is 1 and I am still working. Everyday my heart stays with him when I drop him off to the sitter. I was very blessed to have my mother take care of him for the first 9 months, and we found a great sitter since then. But it still does not dull the heartbreak of leaving my child with someone else all day long. God is doing great things and we are almost to the point where I will be able to stay home, and teach our son. I found your other Blog about SAHM on a budget and that is bookmarked to be one of my guides when I am finally able to be home. Thank you for this post. It is very encouraging to see that there are other mom’s out there with the same desire, but do what is needed to help take care of the family at the time. I truly believe God gave me this experience so that I will not take for granted one single minute with my boy once I do get to stay home. Keeping the faith, and ever grateful for the encouragement! I was really hoping to hear more about coping with the fact that you might never get to stay home. As another commenter above posted, I am the breadwinner and my husband wants me to work no matter what. I have often said that I over-educated myself before we had a child, and Hubs didn’t! I make too much money to stay home, per Hubs thinking. It was years before I realized the bitterness and resentment that I allowed between us during the first years of my son’s life. It is SO hard, even now with an 11 year old son who really wants to be home-schooled. Plus, my calling is caring for foster children, and the entire monthly stipend has to pay for childcare! It breaks my heart, too. However, if I can offer a word of encouragement – God’s ways are not our ways and His thoughts are higher than our thoughts. Once you rest in His sovereignty, it is much easier to submit (joyfully!) to your husband, even when it feels like you are not taking care of your home and family well enough. Jenni, I love your words. One battle I have is with resentment that I am the one with more earning potential than my husband. It’s a source of frustration to him as well, so I need to be diligent in prayer about my attitude towards our situation. Our pastor preached about the temptation of Christ this past weekend, and one thing he said was, “No matter what situation you find yourself in, God has placed you there.” That really challenged me. This is where God has placed me and He is always good and loving to His children. Always. That’s hard to believe sometimes, but that’s why we need to trust the Truth and not our feelings. As far as taking care of your home and family, here is how I have learned/am learning to look at it: people may think being “keeper of the home” means that you are physically at home, keeping it in order. In some cases, like mine, it means that I work so that we may, quite literally, keep our home. Do I feel frustrated and overwhelmed with my roles of wife, mom, and employee sometimes? You bet. That’s when I have to go back to, God is always good. It’s a work in progress. Sorry for rambling…end of the day and my brain is tired. Thanks so much for this! I am working right now to provide for my family until my husband is done with his 4th degree next fall, and although I know the kids are in great hands with him while I am working I get almost envious that he gets to be home with the kids while I go to work. And although the kids are sleeping half the hours I am away (3p-3a) I still feel sad that I am missing out of time with them. I do agree with everything you said and do cherish the relationships I have with my co-workers, but my heart is not in my job, it is at home with my children. I know it is only a season and if all goes as planned, in a year I will be able to quit working (yay! )…but until then I’ll keep praying that my husband will easily find a job to make it possible for me to stay home! Yay! It looks like you all have a wonderful goal to work toward! Thanks for writing this! I came across it through an old college classmate, and it couldn’t have come at a better time. I have been blessed to have 6 months home with my little one (I returned to work for 4 months in the summer until I was eligible for my additional leave). However, I am now DREADING returning to work in January, with no end in sight. After reading your post, I am going to sit down with my husband and see if we can work toward me staying home in the future (we’ve crunched numbers, and it’s just not possible right now since I carry our health insurance at a great rate). Maybe there can be an end in sight! This post hits home for me. I am writing this on my last day of maternity leave. I have three children 4 and under. I feel called to be a sahm but cannot afford it right now due to paying off loans taken out for my husband to finish seminary and other financial responsibilities. I truly feel that being at home would make our home a much happier place for all of us and help him to be more relaxed and thus an even better pastor than he already is. We are formulating a plan that will hopefully find me able to drop to at least part time in a couple of years. It feels very far away right now though. I have been blessed with a great job and supportive coworkers so I am thankful to be able to return to a job that I like. Thanks for this post and for making me feel like being at home with my babies is a reachable goal. I appreciate your honesty and for sharing your heart with the world. I myself dream of that day when I can take care of my little boy full time. I work out of necessity right now and am trying to develop a solid plan to get us out of debt so that by the next baby, I will be able to stay with my little bundles of joy. Its difficult especially when I see so many other new moms around me that were able to quit to stay home or at least just work part time. It hurts my heart seeing them and makes me ache to be with my son 24/7. If it were not for my godly and loving husband as well as wonderful in laws and parents, I wouldn’t know what I would do. They provide so much encouragement to me and reading your blog helps me to know that there is a light at the end of this long tunnel. God bless!! Funny- I never wanted to be a sahm. DH & I both worked in restaurants when our first was born almost 9 years ago. We prayed and talked and prayed some more, and decided whichever of us got a good job first would go to work. DH is now a stay at home dad to our son and 6 y/o daughter, and we are homeschooling. But the past year this has weighed heavily on my heart- I want to be home. I want to be home! We are talking and praying and talking and praying…and praying and praying and praying. Thank you for your post. How wonderful! I pray the Lord will reveal to you where He wants you and your hubby! How cool that your hubby stays at home now! Thank you so much for this post! It is surprisingly difficult to find good posts from working women who would like to stay home. My husband lost his job three months before our oldest was born…that was just over five years ago. I have been doing the breadwinner/commuting mom thing all that time, and it is wearing on me big time. I like that you pointed out the positives, because I think there are some. My husband has been able to stay home with the kids and pick up some part time work, and I truly think I appreciate my precious time with my kids more than some of the stay-at-home moms I know. But I am aching to just stay at home and focus on raising my kids, especially now that my oldest is getting to school age and experiencing speech delays. I’m very thankful that I stumbled across your blog! God bless! I know this post was written sometime ago but I just ran across it. I desperately want to be a sahm. I work full time as a Rn. My husband started his own business a year ago and still had no paycheck. My problem is that me being a sahm doesn’t seen to be a priority for him. I feel like I’m alone in my mission to get to stay home. I feel borderline depressed over this at times. I do pray for this faithfully and know that God does have a plan. Any suggestions? Oh Leslie, I hear your pain! How old if your little one (s)? I would say to just pray, pray, pray! You can pray for God to change his heart and for him to start making more money. I just said a prayer for you! Is there any chance you could work the weekends but still be full time? Our youth minister’s wife used to do that, so she could stay at home. I pray you will see this dream realized one day…but know you are not alone and God hears your prayers! And you can be a WONDERFUL working mama!! Thank you. This is exactly my situation right now also. I needed that encouragement! I know this was posted some time ago, but I read it just now and I appreciated it very much. I admire your story, and many of the stories that moms have posted in the comments. We should respect each other and support each other. I would give my right leg to stay home with my daughter, who is 23 months old. She is very attached to me, and is very smart. She will cry some mornings when I drop her off in her classroom, and she now runs to me at the end of the day, shouting, “Momma come back!” We hug each other for about three minutes, sometimes longer and I give her a dozen kisses. I know she enjoys school for the social benefits, because she is a very social little girl. However, I also work at this child care center. It breaks my heart to comfort other people’s crying little ones while my own is with someone else. I like children, and I give 100% to my job. I take work home, I buy toys and materials, and I often have to borrow my daughter’s books to read to the children. I go to the library so I don’t have to do that too often. I just want my little girl, honestly. If I have to work, I will do the best job possible, and I think I always have done so. However, doing the best job possible takes away from my own daughter. I think about work at home, I plan activities at home, etc. There is not enough time in the day to do it at work. I also see how children in child care are. Even at the nicest centers, even with fancy accreditations and degreed teachers, children are not treated the same as they would be with their parents. Believe me, I know. We are a big, government funded center. We need to eat certain food at certain times, there are even times to use the bathroom, and every part of the day is scheduled. It has to be with over one hundred small children in one building, but it seems unnatural to me. I went to school for this job, and I still feel that way. Now that I have my own child, I don’t want her to wait for the bathroom or her diaper change in a line of children, or eat lunch in a row of tables, or wait with a dirty nose for someone to notice. I want to be there, helping her. Not only that, but no one can love her like I can. We don’t make enough for me to stay home. I pray for it often. I am sorry for knocking childcare, I have been to many quality centers, and nothing is as good a quality as mom or dad or family. I completely agree with you and tear up as I empathize with what you visualize for your baby. Before my son was born, I was rather resistant to the idea of staying at home when my husband brought it up. I wanted to stay in the working world because it’s what I knew! My maternity leave caught me off-guard when my son was born a month early and I spent the first two weeks in tears feeling isolated and overwhelmed. Fortunately, we had some awesome women who supported and encouraged me at this time, along with my husband encouraging me! Gradually things got easier and more enjoyable, but just in time, I had to return back to work (insurance reasons). Now I miss my baby like crazy! God has completely changed my heart and I’m SO excited to be a stay at home mom starting next month. The transition is going to be hard and my husband and I need to carefully consider our budget, but it’s worth it to raise our baby. Thank you for the encouragement – I’m trying to take this month one day at a time and enjoy the blessings at work, until my time comes to be at home! Thanks for sharing your story! I have really struggled with it for the same reason (more as my kids have gotten older). I feel like I know how to *do* work better. 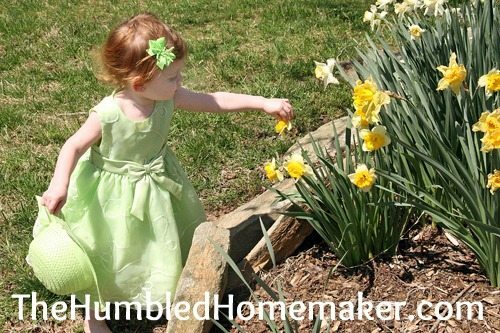 I feel so humbled at homemaking and motherhood! It keeps me relying on The Lord for sure! Congrats on coming home!! Kristina, it’s now 6 months later. Do you still feel anxious about it all? I struggled so much when my first son was born with having to return to an underpaying job that demanded so much of my time and energy. It gave me the motivation I needed to find a better paying job in my chosen profession and I started to feel less stressed while at home with my family. I’ve just had my second baby 2 months ago and it looks like my dream job is about to lay me off. My emotions are a lot different this time around and I can only attribute it to God’s grace. I’ve been praying to be home for 3 years straight and I’m hoping that maybe this will be God’s answer to my prayers. I’m grateful that someone in the church recognizes that some married women find themselves without choice. This has been a long and depressing issue for me. It’s tough when you must leave your 3 week old baby with a care giver. It’s Evan harder to it an additional 3 times. Each time getting more and more depressing. I’ve Evan wanderd why God would allow me to keep having child after child if it He wasn’t going to make a way for me to stay home. We “crunched” the numbers many times and it always came back with my paycheck being nicssasary. I’m still in the situation but have come to terms with being away from my kids for 11or so hrs a day. It has been extremely painful and heartbreaking and unfortunately I walked it alone no friends and hubby got tired it always coming up when theres nothing to do about it. Sure God was and is there but you know what I mean. I also have no passion for the job I do but can go back to school to further education so I’m stuck for now. As with everything in life, one must stop and examine how they arrived to the place they are. When I did that I realized that I made the “choice” to be a full-time working mother years befor I ever had kids. Desions I made regarding education, relationships and overall priorities I made during my late teens and early adulthood paved my current path. As to how to cope goes I think taking responsibility for any poor choices that lead to the current situation is a good place to start. Also, realizing that sometimes God allows us to go through the refining fire of life to help us lean on him and to appreciate what we do have. I will use this experience to teach my kids. I want to instill in my 2 sons the importance of being financially stable before seeking the companionship of a wife and the honor of being a father. In other words, I want my sons to be able to “hold-it-down” on their own befor seeking a woman to share their lives with. I want them to be mature & valiant providers for their futer families I think these traits are seriously lacking in today’s men. I want to instill in my 2 daughters the value of knowing Who they are and what is most important to them when considering marrage. I don’t want them to be impossible and demanding women but I want them to have an additive that says “No Punks Allowed”. I want to encourage them to finish their BA degree BEFORE marrage (cause school & kids don’t mix easily). I want them to chose careers that can lead to jobs with more flexibility if their families financial situation calls for extra income. Most importantly, I want to shout to all of the next generation (not just my kids) to AVOID BUILDING YOUR LIFE ON 2 INCOMES; IT’SA NASTY TRAP!!!!!! Well, that’s pretty much life my situation. Again, thanks for posting this from a Christian perspective. I wish more people in the church would come along side working mothers who don’t want to be. My goodness! Melanie M, ou literally spoke the words out of my mouth. I to, am reaping the consequences of “decisions” I made in my late teens and early 20’s. It really is hard being forced to live in a two income household because of choices I made and didn’t realize at the time how me, my husband and my future children would suffer. It makes me so sad and often I feel trapped and depressed and alone because no one seems to understand what I’m going through. I am grateful that I have a job, I am. But there are times that I cry inside and my heart aches because I would so much rather be looking into my children’s faces and hearing their laughter and seeing their smiles throughout the day, rather than dragging myself in this rat race of a career that I’m stuck in. As you stated, I will definitely teach my children that the choices they make at such a young age will follow them throughout their life. As a young individual, I can see how they would think otherwise because they have no one else to think of other than themselves. They don’t realize that someday, they will want to marry, settle down and have kids and be able to just simply provide the bare basics for their families. It is so hard struggling to provide for my family. To see my oldest son continually out-grow his clothes and shoes and knowing that I don’t even have $5 to go to a thrift store to buy him the clothes he needs. Or realizing I have to choose between putting gas in the car so I can commute to work, or buying milk and cereal, bread and other food necessities that we need so we can eat. It all hurts so much, and I can’t help but really wonder, is this all there is to life? To being an adult? Will there be this continuing suffering every day, month, and year after year? Everyone is so positive and says things will get better, but honestly, since I’ve been an adult living on my own, this is all that I know. Its very hard not to be pessimistic and I try to be positive, I really do. So on a brighter note, I am going to count the blessings I do have and stop focusing on things I don’t have because things can be worse, a lot worse, I’m sure of that. I love this article because it was non-judgmental of woman who are “forced” to work and leave their children behind against their will. Not everyone lives the same life and everyone’s situations are different. This was a great article and made me feel a lot better about my circumstances. Forced2workmom, I so sorry for your pain. I can truly understand it. My pastor was preaching on the “potters hand”. He was saying that life’s situations are a molding process. In order to make a beautiful pottery masterpiece ; clay must be beaten, bent & punched into its intended shape. Then if that wasn’t bad enough , it must be but in the oven. The whole process is most uncomfortable. But at the end the potter paints it into a beautiful & strong object. Thats how we must view this situation. We make mistakes and don’t fallow Gods plan; but just like the potter can make the necessary adjustments along the way. Are we in the same place we would’ve been if we had followed Gods plan to the letter? Of corse not but then again, who ever sticks to Gods plan all the time anyway? He will bring us to the other side of this mountain. It will get better cause your kids will get older and before you know it you may have time to pursue your own goals. And because you’ll be older, your goals will be clearer than they were when you were a young adult. Why should it be children’s interests that trump? I care about me, and my career. My kids are secondary. Part time work is the worst of all possible worlds for women: it means having a job rather than a career. I wanted what men take for granted: to have a career and be a casual secondary parent. I have always put myself first. Kids come second and if they interfered with my interest, they lost. Today will be my third day at work away from my baby. She is 11 weeks old, and I loved my job before my baby came, but it pales in comparison to my calling, which is to raise our children. My husband has health issues that prevent him from working, although thankfully he is taking care of our daughter while I am working. My job is gracious and allows me three pumping periods, which I use to nurse my baby girl (I live very close to my job). When looking at it realistically, it is the best for our current situation, but I can’t wait until our situation changes and allows me to do what my heart wants, which is to stay home with our baby. My husband loves her and does a wonderful job, but he is not called to be a SAHD…he misses working as much as I miss staying home. What a backwards world we live in. I read this post quite awhile ago. Thank you for writing it. It really encouraged me in my current situation. I so desire to be a SAHM but I am not . I am a full time working mom. I have a loving husband and two beautiful babes and a job that allows me a bit of flexibility so I am home two afternoons a week with my kids. But my heart breaks when I am at the office on long days and my sweet husband doesn’t think it will ever be a reality for me to stay home. But in God, all is possible, and I know he can change the situation. I have been praying to be home for many years and I hope someday that it happens. But you know what even if it doesn’t I know I am blessed, that God loves my family and that we are in his care. Thanks for you blog! Keep writing. I just joined up with It Works Global and am working on being a stay at home mom for my 5 year old daughter. I am also looking to help other moms be stay at home moms too!! 🙂 please feel free to email me with questions!! I found your blog because I just did a search for “Encouragement for Working Moms” and as I read it and others’ comments, I fought back tears. I’ve recently returned to work from my maternity leave for our second son. I’ve never considered having the be a working Mom but never actually thought through the changes that we would have to make in order to do so. I’ve been praying so much about it that I have a real peace that God is totally aware of how much I desire to be at home with and to teach our boys and that He’s got it on His list- along with His timing. I don’t know when it will be since my husband’s business does not make enough to support us all but I am soon to be laid off from my job and I’m hoping that this will be the opportunity God has sent us to move in that direction. I’m trying to trust Him to speak to my husband about getting a higher paying job and to work in His timing to send something fulfilling to him. Thanks so much for posting your experiences for us because it is a real encouragement. I love this post. It is very encouraging. I am a working mom in Hawaii and I desperately want to be a SAHM. Not because I’m lazy nor do I think it’s a glorified job. I just know that I know that I know, that I only have these few years with my son before he goes to school and I want to make sure he and I had time to learn and grow together in the Lord. When I told my husband my desire to stay home, he said we couldn’t afford it and that’s that. It really breaks my heart. I’m a very hardworker and actually do love my job, but I feel that prompting to stay home is stronger. Hawaii is so ridiculously expensive. It’s a struggle just to barely make it so to talk him into it is a stretch and I’ve been praying. We will see. I’ve always wanted to stay at home with my daughter (and our future children). I take that back…I never thought I wanted kids. Then, when I was blessed with our first child I knew that that was my purpose in life. I stayed home for two months (I had a botched C-section that took more recovery time than normal) and was not paid for maternity leave. My husband is an engineering student as well as a worker. I knew I had to go back to work…I hated it. I still hate it. I lost my job when my daughter was 9 months old. I got to spend the entire summer with her. My husband approached me one evening and we sat down and did our finances…There was no way we were going to be able to continue this lifestyle. I was unemployed for four months and we were already in so much debt. I had to find another job, and I had to find one soon. So I did. This was the hardest decision ever. 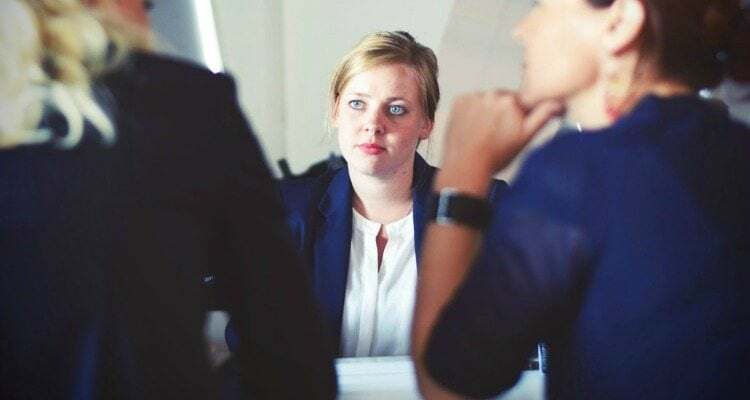 I fought with my husband, calling him selfish, saying that this is what I want and I finally found what makes me happy…He felt guilty asking me to get another job. Our marriage struggled. But in the end I knew that this was what I had to do. Do I regret working? Not necessarily. I hate that I have to spend 8-9 hours a day away from my daughter, only to see her three our four hours a day before she goes to bed. And the weekends I am scrambling to try and get the house clean, dishes done, clothes washed, so on and so forth. I miss her so much. I know that someday I’ll be able to quit working…I just don’t know when. I am a working mom from South Africa. Thank you for this post even though it started ages ago. I have 3 kids and it breaks my heart that I dont get to be more invloved in their lives. I often feel like “what is the point to all this? ?” My husband is not really supportive of me staying at home. I enjoy my job when I am there I really make the best of it and I am good at it too but my deepest desire is to nurture them. I struggle to step out in faith with this especially with the financial side of things but the biggest challenge is accepting my husbands wishes. I also stuggle and try really hard not to resent him. But I keep hoping that one day I will be blessed with taking up my calling as I believe that God has put this desire in my heart and that I am in some sort of a learning phase. I just need to trust that His timing is perfect. Erin, thank you! This post showed up on my Pinterest home feed. I realize it is an older post, but it is the first time I am reading it. Like you and many others who have commented I am currently working while my husband is finishing school. He works full time as well, but I am our large income that affords us our mortgage. We did not plan to have our son as early as we did, but God had other plans and blessed us with our little boy 2 years into my husband’s under grad. He will be starting Grad School this Fall and we have another 2 years to go. I struggle everyday with wanting to stay home. We have a fabulous sitter 3 days of the week and the other 2 my mom cares for him. Work is more complicated for me because I do not have a great relationship with my co-workers. I am 20 years younger than most and feel left out a lot. Reading this and the comments above both made me cry (because I relate so much!) and made me happy (because other people feel my pain of the stress of having a spouse in school and not being able to be a SAHM. I am not alone!). Very encouraging blog! be updated regularly. It consists of pleasant stuff. You have a calling to be the encouragement I need when I need it. I start cloth diapering and bam! There you are blogging about it. We decided I would stay at home after school ended this May and bam! Here you are again! I am struggling with the thought of not having my income, but I know this is what God wants for our family. Working with 5 children is just way too stressful and they aren’t getting the attention they need from us as parents. My husband and I sat down with the bills all listed out and we are weeding out the uneccesarry things. It’s hard to make changes, but I want this more th an anything and I’m praying for God to help me release my hold on the lifestyle that I am used to and help me to embrace the lifestyle I want. You have been such a blessing to me through the past few months! Thank you for taking time to share with us and know that you are touching many lives! I can completely sympathize with having to work and wanting to be a SAHM. I worked 4 to midnight so I kept the boys in the morning and my mother-in-law kept them until their daddy was able to come home. I cried every day for a month when I went back to work after my oldest was born. I so wanted to be home with my family but we couldn’t afford it at that time. It was so hard because I had several friends in my church who were SAHMs and I was so envious because all I wanted to do was stay at home with my babies. My sons were 3 1/2 and 1 1/2 when I finally was able to stay home. They felt like the longest years of my life but we finally made it and I pray for those moms out there who need the encouragement to keep going. It’s probably one of the hardest things to do besides being a mother to begin with. I came across this blog in Pinterest and I’m so happy I did. I cry daily at work, hoping to someday be a SAHM, knowing that it may never happen financially… and this has uplifted me. Thank you for your positive words! Finally, there is someone who seems to understand that there is struggle, but the Lord is here to guide and comfort us. Thank you, again. I don’t have any other working mom friends and I sometimes wonder whether there are any left out there. My daughter will be 7 months soon and I cry almost daily about being a working mom. It is so foreign to me – I was lucky enough to have a SAHM and so did my husband. I am also dealing with a boatload of resentment and bitterness toward my husband because he doesn’t make more money in his current job and isn’t out there constantly stomping pavement trying to find something better. In my worst moments, I’ve yelled and cried how I deserve to be a SAHM; how our baby deserves better than what he’s providing. And then I feel like a jerk. My faith in God has been greatly tested and at times I have completely given up. There is no more praying to be a SAHM because I feel it’s not meant to be; God has other plans and will not give me what I so desperately want. It would maybe be an easier pill to swallow if I had a job that I liked or got payed reasonably well for. But I have neither. I work a customer service job paying a little over minimum wage. It feels silly to unload like this, but everything in my life revolves around my unhappiness. I can’t even enjoy my days off with my baby because I dread going into work the next day. The intimacy in my marriage is almost nonexistent because of my resentment. My trust in God has waned. Thank you for sharing your story. It’s nice to know that at least one mom knows what it’s like and got her wish granted finally. I was a working mom as a teacher for the first 6 years of my son’s and 4 years of my daughter’s lives. I missed them and wanted to be with them but enjoyed working and never felt like I was meant to be at home. All that changed about 2 years ago when God placed it on my heart that His plan for me included me being a SAHM where I could put all my focus on Him, my children and my husband. My husband and I prayed on this for the last two years and I came to a place of KNOWING it was meant to be before my husband. I continued to pray and be patient while God did His work in my husband’s heart. In May, my husband was ready and told me to quit my job. 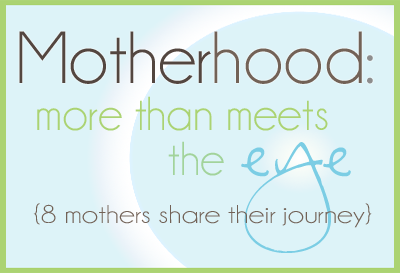 So, I concluded the school year in June and took this leap of faith into the SAHM world. God has also led us to homeschooling and we are about to embark on a new school year at home as well. God is good and when we follow His call on our life, amazing things begin to happen. Good luck to all you SAHMs out there and even more for you working mommies. I just found your blog Erin when searching for advice for Christian working mothers. My son will three months old in a few days. I went back to work when he was seven weeks old. Due to our financial situation, I had to go back to work though in my heart I long to be a stay at home mom. My husband works various part time jobs including third shift and is in the process of trying to get his photography business off the ground. I fully support him in pursuing this passion but it’s been difficult being the primary breadwinner. With him having a more flexible work schedule than mine, he stays at home during the day with our son. He loves our son very much and enjoys spending time with him but it’s not his desire to be a stay at home father. He wants to be working more and to be able to provide more so that I can be home but hasnt be able to find a steady job in order to do so. This new season in our lives has been very tough. Having to be home out of necessity and not being able to provide in the way he’d like has caused him to really struggle with feelings of failure and what his role is in our family. I’m glad that we don’t have to send our child to daycare and that we’ve been provided with a steady income through my job but it’s been really difficult to be at work when my heart’s at home and to know that my husband’s been struggling with this. We’re both unhappy and are praying that the Lord makes a way for our vocational roles to be reversed. This has taken a bit of a toll on our marriage and I’m just trying to be strong and support my husband in ways that I’m able to and trust that things will change but there’s no guarantee. I feel like I need to be strong for the both of us in this as he seems to be so defeated but it’s been difficult. It just seems kind of like a cruel joke. We both want what the other has. I feel your pain Bernice! !I am in the very same situation with schedule. My husband works crazy hours that allow him to take care of our 2.5 year old mostly but he doesn’t want to do it. I on the other hand am working full time for insurance and to pay off debts but desperately want to spend days with my son. You are not alone my dear! It doesn’t necessarily get easier it gets different. If that is where you truly want to be then work towards that goal. Don’t lose hope. God knows your heart. Make sure your both on the same page and do what you have to to make it happen. They are only young once…. I am in the same boat, at work while my husband is a SAHD and we really do both want what the other has. I’m praying for you today, for HOPE and for healing. It is easy to blame and hard to forgive when you are angry that every day is another day lost. At least, that is how I feel. So please pray for me, as I don’t know how much longer I can take this. I am a working mom (34 hrs a week so get 2 mornings off) who wishes I could be a SAHM. My husband stays home and is a SAHD as he was only finding minimum wage work and I am a nurse and can make enough for us to live on. I have no plan for becoming a SAHM. My heart is breaking. Please pray for me. Thank you for this. I would love to be home with my 2 babies. I have a 2.5 month old and a 3 year old. I’m fortunate enough to have a job with excellent benefits and that pays me pretty well. There’s no way we could live without my income nor our insurance. We scrimped and saved for me to able to take most of my maternity leave. My husband works nights and weekends so he’s home with our kids during the day. He got a raise earlier this year so I’m able to work 30-35 hours a week now instead of 40+. One of the biggest blessings of my job has been my coworker turned friend. She’s in the same situation I am and I feel so blessed to have her. She makes working bearable. Knowing my babies have health insurance and the meds and things they need, that keeps me going through the pain and all the tears cried. I just found your website today and am so happy I did! I am a single Mother to a brilliant and beautiful baby girl. She has been in daycare since she was 6 weeks old and she is now 8 months old. I felt horrible leaving her while she was so young then and I still do sometimes. I pray with her before I drop her off in the mornings and when I pick her up in the evening. She loves the person that takes care of her and even gives her kisses on the cheek. I felt little jealous that her taker got to spend so much time with her and was receiving alot of affection from her, but I reminded myself that atleast she is being taken care of and is happy there. We are surviving on mostly my income alone so I don’t how I could bea Single SAHM and still take care of her and I. I will continue to pray on it. Thanks for the reminder to count the blessings that have come with being a working mom. I’d love to be a stay-at-home mom, homeschooling my kids, but for now, I am working part-time at the same job I used to work full-time before my kids were born, and mostly from home, and homeschooling 1 child. It’s a lot of juggling! 🙁 But there’s things I’m thankful for (like the reduced hours, and the working from home). Can’t say I have any good co-worker relationships there though! too much drama in the workplace. lol! God has been tugging at my heart to be home again. When my children were born I was blessed enough to be with them through most of their first years and had no choice but to go back to work. They are now 6 and 8 and I have been back working about 5 years now. I have been raising them alone and God brought a wonderful man into our lives who desires the same lifestyle as I do where I can be home with my children and the children we plan to have together in the future. His salary does not necessarily support that desire right now so I am dragging myself into work everyday. I have made friends I will cherish forever at work, however, that drive in…. is a continuous struggle. And I don’t know many women who understand my desire to be a SAHM. I am thankful to have stumbled across this page. It has given me the reassurance I’ve been praying for. Thank you! I too am a working mom who wishes to be a SAHM. Unfortunately, in our circumstances, my income is paying the bills. Hopefully things will change in 2 years, but we aren’t sure yet how things will work out. Luckily my husband is a roofer, and being laid off when it is snowing and icy, he gets to stay home with baby girl. I have to admit that sometimes I am jealous that he gets to stay home with her while I go to work. It has been tough for me this year, I have gotten pretty depressed. I’m so sorry, Bobbie Jean! I hope you see this dream a reality soon! This was a great post to read. Hubby and I have been non-stop since I got pregnant with our first 3 years ago. I had her over Christmas break between semesters of year one of grad school, she went to daycare part-time while I did internships my second year, last year she went to daycare 3 days a week while I worked, and this school year both her and my second child are going to daycare 3 days/week while I finish up working ( I had to work for 2 school years to complete my education). At the end of May, I will be a complete SAHM and I can’t wait! It has been the goal for hubby and I. I will most likely work maybe one day a week just to keep my foot in the door career-wise (speech therapy). It all works out in the end; if it’s not okay, it’s not the end. Thank you for the post, I am struggling with this so a lot! I feel like it is my calling but we just cannot afford it. Thanks for this post – I am a FTWM who used to be a SAHM for a bit. I suppose I’m not totally the target audience for this post (as I don’t think at this point I really wanna stay at home – for quite a few reasons that are in a separate post on my blog), but I was encouraged by this post. Many times, FTWMs are made to feel like they have chosen ‘second best’, and all I can say is, every family has its unique circumstances, and God knows our hearts. Keep on keeping on, Erin! Our Lord bless and keep you. I know you wrote this a long time ago, but I just wanted to let you know that it gave me peace today. I am a stay-at-home mom right now, but there is a good chance that I am about to start a job next week because it meets my family’s needs. While I have understood the reality of this, it hit me emotionally today after putting my daughter to bed how much my daily life is going to change, and I immediately searched for something to read to help me not to turn and run the other way just because selfishly, I want to spend as much time as I can with her. So, thank you for writing this, and for giving me some positives to remember, and to give me that many more reasons to trust God in all transitions. So glad I came to this site! This is exactly how i felt each and every day for the past 16 months. My heart belongs home w/ my baby girl. I just know we can not afford it at the moment, that’s our fault for poor planning 🙁 I pray daily that god presents a way for me to stay home with my baby and allows me to have just one more. thank you for your encouraging words. Thank you so much for this post. I am due in May and will have to return to work in August. I’m blessed to get the summer with my little girl but am already dreading going back to work. I know God has something planned for this season, he has already provided the perfect friend to keep my little girl, I just pray I can continue to see that and appreciate the good. I hope you will be encouraged and see blessings out of it! It was such a heartbreaking decision for myself also. I hope your post blesses someone faced with this tough decision. I know it helps to know you aren’t alone! I have had the privilege of being able to take my children to work with me; when my firstborn was 5 months, I nannied another baby for a time. When I found out I was pregnant again, I stayed home with my kids, but looked for work I could do from home. We went back to nanny for a while, then I was able to get a job at the daycare I had worked at prior to my firstborn’s birth. Now I take all three of my babies (3, 2 and 6 months) with me, and I am able to see them throughout the day (tho I try to be careful so as not to upset their day). It’s an awesome opportunity that God gave me, as I am able to bring in everything I make, and my children get a structured classroom and the chance to play with and make friends. As much as I would still love to be home, this is our reality right now, and it’s necessary for my family. Erin, great article. I love point number 3. My husband and I have our first baby coming in July and I want him to have an amazing relationship with our kids. My friends husbands has date nights with his daughter once a month, adorable. Any special tips for the guys and bonding? I’m so thankful for this post!! My second little guy is due in may and I won’t be able to stay at home with him until he is about 6 months old and it really breaks my heart! I was at home with our first son until he was about 2 so I do feel a little guilty that I am unable to stay home right away with our second. This post was so encouraging and really helps take some of the guilt away. Especially reminding myself that working is only for a season, and thankfully not longer than it could be. God bless you and thanks again! Breaks my heart, not fair. I’m so sorry, Deena! I pray the Lord gives you peace and that you will know you don’t have to be a SAHM to be a GOOD mom. It sounds like you are already an amazing one!!! Amazing post! My husband was a stay at home Dad finishing school until she was 2. I wanted nothing more than to be at home with her. But like your situation, it brought my husband and daughter so much closer than I ever imagined possible. Now my goal is to become a freelance web developer and “come home” in a different way. Thank you for giving me some Monday Motivation! I am having an incredibly difficult time right now. I was working part time at a job that I loved. But as my kids’ school schedules changed, the hours of the job quit working for me and I could not get them changed. I had a job come looking for me that seemed like my dream job with just a few exceptions. I accepted it. Now, I am miserable. I do not enjoy the job like I thought I would and I miss my kids so so so much. Even though one is gone all day in kindergarten and the other is gone a few hours to preschool, I just miss them so much. And we want to have another one and I am getting older. I have terrible anxiety attacks and depression every morning when I leave my youngest. I miss them all day. I don’t enjoy my job and feel isolated and alone at it. But if I quit it, we will barely be able to pay the bills and pay my student loans. We can do it. But there won’t be money for anything extra like taking a trip out of town or something. And I feel so so so guilty. Guilty for not being with my children while I am at work because that is where I want to be, and guilty for taking out student loans and for how much of our income they will eat up if I quit. I just feel guilty and terrible and I don’t know how to cope with it. I went from being a happy person to being the most miserable I have been in my entire life and being depressed all the time. Nothing makes me happy anymore. I just do not know how to get through this struggle. Oh Terri…I am praying for you right now! I am praying for wisdom, peace, and for the guilt to go away. This post speaks to me. I am struggling currently with working part time after having our third baby. My husband has been the stay at home parent for two years since our daughter was born, but now I just really feel called to come home. We have started homeschooling after God showed us that was what our children needed. I am the only source of income, though. I can’t just quit to come home until my husband finds work. I know what God’s calling is for me, but sometimes you just have to work through it until it’s possible. I have always wanted to be a SAHM and I have prayed for it for 13 years since our oldest was born. It has never worked out for me. I have tried different jobs to make it work, but God has other plans. I have always felt that was my calling, but life happens and I end up working. I will never get that time back and my husband doesn’t seem to understand. I know I can’t just quit, but I struggle with doing something that I don’t feel is what I am supposed to be doing with my life and therefore affects my children and what I want for them. I am so happy to have found this post. You don’t know how much this means to me to know that there are others out there who feel the same way I do. My little one is almost 7 months old and I have been feeling very upset lately about being at work. My job is 45 mins away from my house and when I get home in the afternoons I feel like I just don’t have enough time to love on my sweet baby between getting dinner ready and trying to settle down from the long day at work. I have been begging my husband to figure out a way for me to stay home or at least work part time. I cry everyday at work because I miss my baby and I feel that my true calling in life is being the best mom I can be. I will keep praying for God to answer and find a way to make this possible. I’d like to ask for your prayers as well during this really difficult time in my life. Thank you also for the encouraging post. Hi Kaitlyn! I will pray for your right now. I will pray the Lord will give you peace and that if there is a way for you to come home one day that you can! You are not alone! Sounds like you and I are in the same boat. My son is 6 months, and by the time my husband and I drop him off at my mother-in-law’s and get to work, it’s a 45 minute commute. So, in the evenings after scrambling to get dinner on the table and nurse him, it’s almost time for him to go to bed, so I feel like I hardly get to see him, and it kills me. My husband isn’t saved, and he feels like we can’t afford for me to SAH right now, but I disagree. My only consolation is that I’m hoping by me submitting to my husband in this, it will ultimately point him towards Jesus and wanting to be saved, but its still hard in the moment. Thank you for this article I am struggling so much now. I have been working from home for many years now and now need to go back into the office. My children are middle/ high school but they still need me. I was available after school and got rides etc. I don’t know what to do I have to work my husband is not making enough and for insurance. I am devastated and depressed and it’s affecting my children. My boys need me to take them to practices etc.. plus I don’t enjoy my job but must do the same type of job to make decent money. I know I was very lucky these years but I am so unprepared. Please any wisdom? I have been praying so much for months but I feel lost. You know….kids like having changes of scenery and caretakers during the day. Yeah, they’ll cry when you leave, but same with going to school. How is leaving them with a teacher magically different? I know little babies need their mamas, and the USA is a laughing stock of other world in that regard. 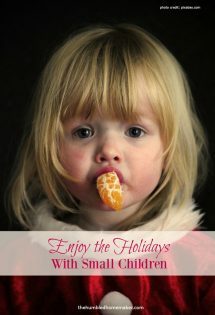 But ultimately..I think this is more a about the workforce being tough than about “think of the children”. I needed this so badly today. I’m a teacher sitting on my planning period pumping milk for my 2 month old baby girl as I just came back to work. My husband and I plan for me to stay home next year but I didn’t feel right about leaving mid-year so here I am. It is a season and I needed to be reminded of some ways I’m blessed by it. Thank you so much! A huge congrats on your baby girl, and I’m so glad to hear this post blessed you! I was EXACTLY where you are now 10 1/2 years ago. That baby girl of mine is now 10 1/2–and she had 3 younger siblings that I’ve been able to stay home with! On a sidenote, check out my post on VIP Kid. It might be a good WAHM option for you!